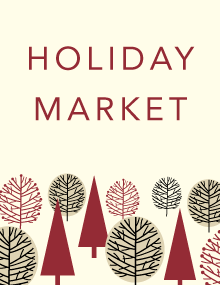 Support local artists during our Holiday Market, part of our Holiday Gift Show. Enjoy music, cocoa, cookies, and a family friendly craft, while you shop for unique holiday gifts. Free. NORA Cupcake Truck will be here with festive treats for sale!